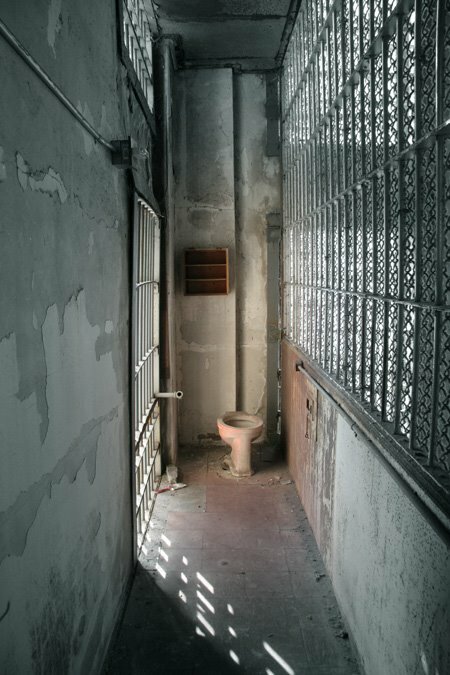 The guards at Alcatraz had a toilet at one end of their observation deck. To the right of the toilet, with a small chain hanging down, is a small sliding metal flap large enough to stick a gun barrel out but not large enough to fit a gun through. A voluntary larger cell overlooking dozens of smaller involuntary cells. One wonders what all those NOMI communist Cubans make of the recent judicious and astute discussion about using Alcatraz to detain all those currently at Guantánamo Bay?